This was a PR opportunity for entrepreneurial companies who want to get featured in the news. Business is booming and one way to take advantage of the news cycle is to promote your services when the opportunity presents itself. 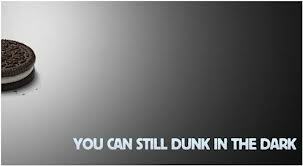 Another example is when the maker of Oreo cookies tweeted a response to the temporary power blackout at the recent Superbowl, “you can still dunk in the dark,” and almost immediately tens of thousands of followers retweeted the message earning instant media attention. Can you think of any other recent examples of businesses taking advantage of current events? This post makes me remember of an event that occurred a few years ago in France. “Quick” which is one of the most popular fast food in France after Mc Donald’s have been in trouble because a customer died because of an ingredient into the hamburger he had from the fast food. It has been a huge scandal and loyal customers of Quick switched to Mc Donald’s. Right after the event, all the Mc Donald’s ads on TV were focusing on the cleanness of their fast food and the freshness of their ingredient. So they took advantage from the scandal of their concurrent to attract new consumers. That is a really awesome idea. Any idea how many they sent out? I wonder what was the thought process of coming up with that. Depending on the volume, I bet there was some sort of crisis team or something. Or perhaps, just one clever employee’s idea because it was coincidentally near Valentines Day! That is a really clever idea. I think a lot of companies brush off incidents like spam without even thinking it affects their image. For a company to actually send an apology package is something unheard. I too am curious how many were sent out and how much it cost them. Regardless of what it cost or how many they were sent out the fact that they did this was great for their image. I was also wondering what it cost MINI Cooper to send the apology packages, but I am guessing they crunched the numbers and decided sending sweet and simple apology packages was a small price to pay from customer loyalty. That does seem like a very cool idea. It speaks a lot about Mini to apologize in this way and not just send an oops email. If more companies would own up to their mistakes in creative ways they would probably retain their consumer base a bit better. That is a great idea. This reminds me of the carnival cruise situation when the passengers almost became prisoners to the drifting powerless cruise liner. As the passengers were finally being released onto dry land I think this idea could have helped the company’s image a lot. They could have handed out vouchers for the local hotels, restaurants, and attractions on top of refunding the cruise ticket price. Considering what the passengers had to deal with on that trip, no amount of compensation could ever be too much. This reminds me of how quick the Red Cross is to respond to disasters. I was personally affected by the earthquake in Haiti. Hours after hearing about it I had people coming up to me saying they texted Red Cross to donate to disaster relief. My feelings for Red Cross are mixed but they’re quick response proves they have great social responsibility. They are always the first relief organization I hear about (and think about) after some sort of disaster happens. The idea of texting in a donation honestly sounds a little lazy to me but it’s probably one of the fastest methods I could think of. Allison: That’s really interesting. Just the reading an article about how much the chairmans and/or the presidents of five major humanitarian organizations made each year. Unfortunately, the Red Cross’s president came up as one; I can’t remember how much, but their president makes way more than a president of a humanitarian organization should. I felt conflicted though, because Red Cross has always been an organization that I felt strongly about and i’ve donated to them in the past. Jessica, it makes me feel really conflicted as well. I’ve heard numerous times about how much the president of Red Cross makes and it always leaves me with a cold feeling. I believe there are better organizations out there that are definitely less profit focused than Red Cross and deserve a bigger spot light. But when it comes down to it Red Cross is a convenience factor for me… I know where to find them, I know what they are asking for, and I know they will in fact bring attention to causes that need attention. I think that this is very interesting and clever. Especially considering the time that people will take to watch TV or listen to radio during those events, to have more information. I think it is an opportunity for a company to enjoy from all those people paying a lot of attention of TV. I also think that a creative advertising strategy is to catch opportunities to communicate differently, in response to the news. I think that American Apparel citation is smart. Whoa. Super insensitive. I have friends who live in NYC, they do not live in one of the areas that were totally devastated by Sandy, but they did volunteer their time to clean up efforts. Hopefully American Apparel tried teaming up with with relief efforts and donate proceeds made after that shameful go at exploiting a hardship. Hmm… there’s an explosion of rats in New York and an explosion of pythons in Florida, I see something here. I’m just kidding, I hate these kind of thing, I know these are rats but I’m kind of a animal person. They don’t bother me much. I have never had rats in my house just little mouse and mice, but I have two cats so that easily went away. I just hate it when there’s an explosion of any kind of animals and the only way to make it right is to kill them, I think there is always another solution or a more natural solution. I just hope one day we all can just live peacefully with each other, but I know that will never happened. I am still confused how hurricane Sandy brought in rats but I am sure there’s an explanation. 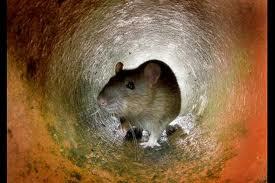 Well in New york city I wouldn’t be surprised if rats were invading manhattan area apartments. Having said that I think the whole idea of having a rat trap where an artificial rock is placed and having a hold in it to place poison sounds like a clever idea. Rats are bound to invade any household, let alone Manhattan. I have seen rats crawl in houses here in Portland, so I think it just depends on where one resides or if there are open areas where they can crawl in. I think that in larger cities rats are bound to enter into residence. Im sure it would be a major PR crisis if rats were to invade a major establishment within New York City. Homeless, rats, dark, these were my first impression when I took subways in NYC. It was just a little bit difficult for me to accept that the world modernest, most exciting city has the worst subways I had ever taken in other cities and countries. It really ruined the reputation to NYC. But I didn’t regret to visit the city, because at least I received the information that NYC was not as good as what I thought. I read an article about how Microsoft tried to appear sensitive and charitable while promoting its billion dollar empire. During the 2011 Great East Japan Earthquake that caused billions of dollars in recovery, Microsoft launched a Twitter campaign to donate a dollar for each re-tweet about the company, up to $100,000. This was insensitive because to Microsoft $100k is close to $10 and I think they missed the memo on how asking people to jump through hoops to help out people in need is a no-no. Also, while the Oreo ad is kinda cute I think that companies should be careful of how lightly they take the issue and the multitude of ways it can be misconstrued with emotions running high. The Oreo example brings me back to the Olympics in Russia this last year. When the snowflakes/rings malfunctioned and only showed 4 of the 5 rings, it caused a stir in an already controversial winter Olympics. Fast forward to the closing ceremony where the Russian Olympic organization was able to poke fun at themselves by deliberately recreating the mishap on purpose with a nod to their prior performance. I think this was a very quick response to the minor crisis of losing good will from viewers, the broadcasters and the media. It was picked up by the news and I think it may have impeded any further negative notions. This is a perfect example of how PR should operate in light of any situation. Speed, creativity, and image. It shows that PR, in almost every situation, can create publicity whether it be good or bad, or stem from a situation that is negative or positive. The Oreo PR was completely hilarious and gained attention almost instantly! Brilliant. Social media and PR at it’s funniest.